Chunky coffee tables are a great seller for us and you can see why. 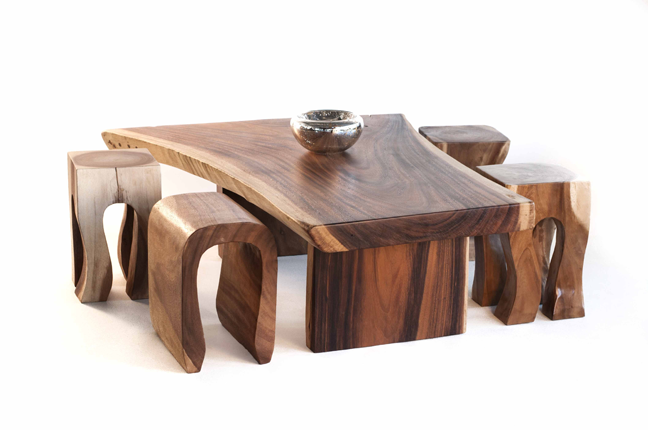 The tables possess natural elements that work in any setting. This piece is made with a thick slab of acacia wood and offers tons of character. It's ready to ship but this piece ships blanket wrap and can take some time to deliver. W 46" / D 32" / H 18" / 105 lbs.